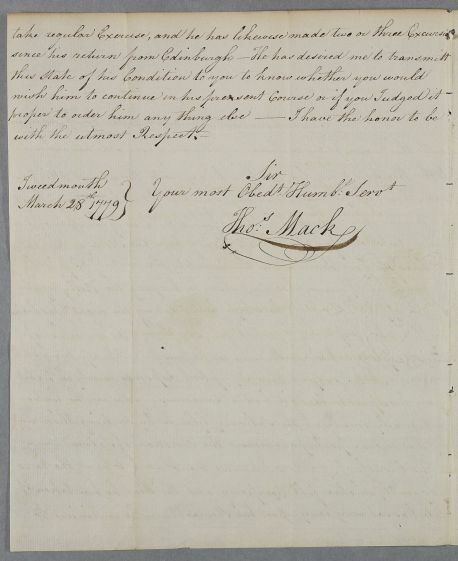 Letter from Thomas Mack, concerning the case of Mr Ancrum. The recipe from letter 4387 is repeated with modifications suggested by Mack. 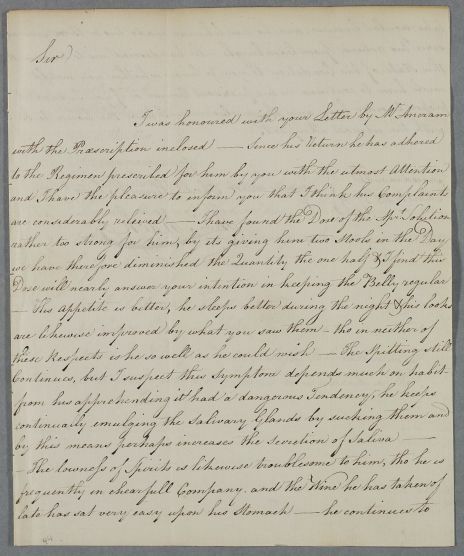 Summary Letter from Thomas Mack, concerning the case of Mr Ancrum. 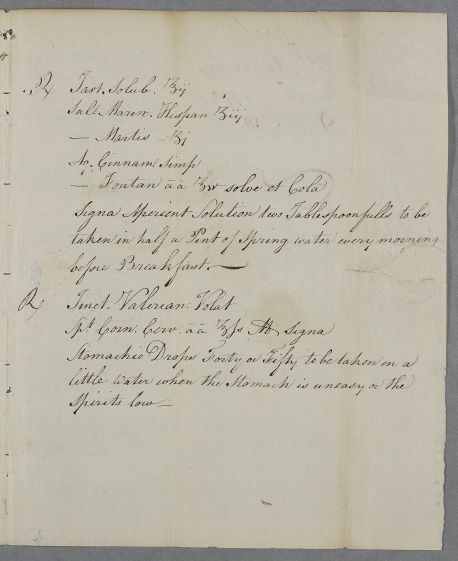 The recipe from letter 4387 is repeated with modifications suggested by Mack. 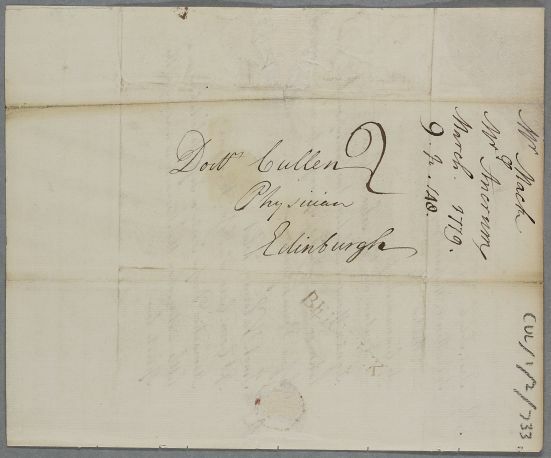 Case of Mr Ancrum, a Northumberland farmer, whose dyspepsia was recently aggravated by the shock of being attacked by 'footpads'. Dose will nearly answer your intention in keeping the Belly regular. Take two ounces of Soluble Tartar three drachms of Spanish Sea Salt one drachm of Green Vitriol four ounces each of Simple Cinnamon Water and Spring Water. Dissolve and strain. Label: Aperient Solution two Tablespoonfulls to be taken in half a Pint of Spring water every morning before Breakfast. Take half an ounce each of Tincture of Volitile Valerian and Spirits of Hartshorn Mix. Label: Stomachic Drops Forty or Fifty to be taken in a little water when the Stomach is uneasy or the Spirits low. Your most Obedt. Humbl. Servt. --- Font. aa ℥iv Solve et cola.